The mornings and evenings are getting cooler. The swimming pools are now empty. It`s autumn! Or is it fall? Both are correct. Autumn is used exclusively in British English. though occasionally autumn is also used. which is looking at words related to fall. 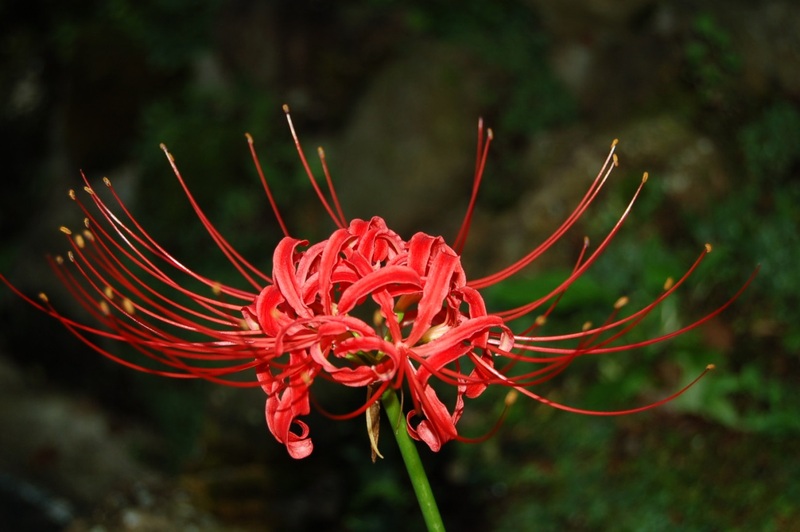 Spider Lilies—The picture above is a common sight in Japan in the fall. you can see many different colors of spider lilies in the fall. but one of my favorite things about fall in Japan is eating persimmon. Persimmon are very rare in America. The first time I tried one was in Japan. but you can never find them in a supermarket. like New England, have much more beautiful fall colors. being surprised by the beautiful fall colors in the middle of a big city. The Autumnal Equinox is the day when the amount of daytime and nighttime is equal. This also happens in the spring, when it is called the vernal equinox. though it is becoming popular now in other countries too. Have you decided about your costume yet? I know what I`m going to be. It`s a secret though.